OLD NEWS Depp plays a fledgling reporter in the big-screen version of an early Thompson effort. On the one hand, it’s impossible not to be touched by Johnny Depp’s devotion to Hunter S. Thompson. The two became friends around the time the actor starred in Terry Gilliam’s 1998 adaptation of Fear and Loathing in Las Vegas, and the legendary journalist’s 2005 suicide has done nothing to slow Depp’s output of Thompson-related projects. He personally organized and financed the firing of the author’s ashes from a giant cannon Thompson designed. He narrated Alex Gibney’s fine 2008 documentary Gonzo: The Life and Work of Dr. Hunter S. Thompson. He uncovered the manuscript of The Rum Diary among papers in his friend’s Woody Creek, Colo., cabin and was instrumental in getting it published and made into a movie. On the other hand, it’s impossible not to notice just how flawed and forgettable both of the Depp-starring film adaptations are. If ever a writer’s work was meant for the page and not the screen, it was Thompson’s. Initially, I was surprised to learn that The Rum Diary was produced three years ago and shelved. Then I watched it. Written in Thompson’s twenties, the novel offers the autobiographical story of a struggling young journalist named Paul Kemp. After being fired from a number of jobs in the States, he decides to try his luck at the San Juan Star, a rundown English-language newspaper in Puerto Rico. 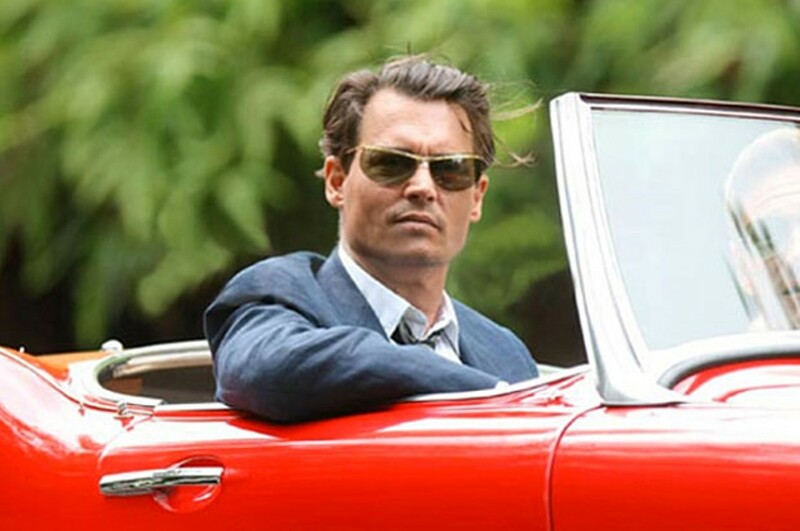 Depp plays Thompson’s alter ego as an idealist in the barely embryonic stages of gonzo. Like almost everyone we meet, Kemp drinks like he’s being paid by the shot glass, despite having assured his editor (Richard Jenkins) during the interview process that his consumption ranks at “the high end of social.” Kemp has yet to find his voice and mission as a writer, however, as well as to discover the pleasure of firearms. So writer-director Bruce Robinson (Withnail and I) finds himself in the unenviable position of attempting to entertain Hunter Thompson fans with a character who has not yet become Hunter Thompson. His solution is a never-quite-satisfying mix of period recreation (think “Mad Men” on spring break), bar-crawl comedy, social commentary and romance. The last two elements are combined in a subplot in which a shady land developer (Aaron Eckhart) recruits Kemp to write his promotional copy as he transforms the tropical paradise into a tacky tourist trap. But Kemp has less interest in the developer’s business interests than in his love interest. “Oh, God, why did she have to happen?” Depp mumbles the first time he sets eyes on Amber Heard. She plays the glamorous blonde trophy Kemp falls for but fails to win for himself, in just one of several storylines Robinson develops and leaves dangling. Even the picture’s climax is anticlimactic. Not to mention borderline embarrassing. Bear in mind that, in adapting the book, the filmmaker was authorized to make tweaks and additions to increase the movie’s appeal to a new generation of Thompson enthusiasts. One of these consists of a scene in the film’s final moments where Kemp suddenly and melodramatically plunks himself down at a newsroom typewriter and pounds out this weird cross between a manifesto and a declaration of war. He warns the bastards of the world that he is not on their side and intends to make it his life’s mission to keep them in his journalistic crosshairs while providing a voice of outrage to disempowered readers. It’s like something out of a superhero origin story. It is not something its real-life model would have found amusing. The bottom line: While it’s a noble and rare thing for a Hollywood star to champion great literature, at this point, Depp would probably be doing his late friend a favor by getting back to swashbuckling and letting Thompson’s twisted, timeless work speak for itself. * Running time: 120 min.